It might be fair to say—and we actually coined this term in a beautiful phone conversation between myself, Ken Wilber, and Andrew Cohen—we were talking about the relationship between the earlier evolutionary thinking in Kabbalah and evolutionary spirituality, and we called Kabbalah a kind of proto-evolutionary spirituality. At the time when the great Kabbalists were writing the key evolutionary tracts—the later phases of the Zohar in the 13th cenury, the key teachings of Luria in the Renaissance, the notion of the evolving biosphere wasn’t in play. There are glimmers of the idea in the most esoteric of texts, but there was no empirical evidence for it and it wasn’t really in consciousness at all. It came into consciousness in the hundred years before Darwin, and Darwin crystallizes it and it explodes into public culture as one of the four great ideas of the last 200 years. So clearly evolution itself is evolving. We are understanding that all levels of reality are evolving. The notion that there is an evolution of divinity itself is a core feature of Lurianic thought. My colleague in Jerusalem, who wrote a fantastic doctorate on Luria, quotes Nikos Kazanzakas to summarize Luria’s doctrine of the evolution of God: “We are the saviors of God.” What he means is that God is evolving. There’s something new that is being created that didn’t exist before. There’s an evolution of divinity. From a non-dual, Lurianic, Kabbalistic perspective, from the interior face of essential reality – the human being is an inextricable part of the divine. There is no separation. The human being participates through his or her own evolving in evolving the divine consciousness. That idea is a core idea. As a trained Kabbalist who has received and drunk from the lineage of Kabbalah, the notion of an evolutionary context is core to what you might call my mental furniture. It’s an absolute given. And clearly evolution evolved through Darwin—and people like Aurobindo and de Chardin and Abraham Kuk—write extensively on this notion of the evolving nature of reality, the evolving nature of Spirit. Kuk and Aurobindo are parallel figures, one in Kabbalah and the other in Hinduism. De Chardin emerges in their wake. They deepen the idea. Once you have the evolution of the biosphere at play, the game changes. Having said that, having recognized the evolutionary moment, let me point out the limitation of some of the ways that Evolutionary spirituality has expressed itself in the world. First: in its initial expression in Fichte, Schelling, Hegel— that school of German Idealism—actually produced vision of the world which in some sense became a kernel of the worst forms of oppression that were ever created. The dialectical materialism which comes out of Hegel becomes in distorted form a kernel of both communism and Nazism, and the two manage to kill hundreds of millions of non-combatants in the most brutal of ways. They elevated the process above the person. The impersonal evolutionary process—awakening to it—became the essential movement in a human being’s awakening, and, that is to say, the least problematic. The second we lose the irreducible dignity of every individual human dignity, and it is sourced in their uniqueness, we’re in trouble. It’s a slippery slope into the most brutal forms of human depravity. So I’m hesitant when I hear ways in which evolutionary spirituality is championed in the world in ways in which the impersonal seems to trump the personal, where the process seems to trump the individual human being. My lineage tradition that I am sourced in is wary. There always needs to be a dialectical tension between the infinite value, dignity, and adequacy of the individual and the infinite adequacy and dignity of the community. They need to be in play with each other. Part of the dharma of Unique Self is to realize that you can never lose sight of that unique human being. Of course let’s be clear. The same way that the doctrine of Unique Self can’t take responsibility for the hyper-narcissism of the Western world, the hyper greed of certain capitalistic expressions (not genuine capitalism, but what John Mackie has called crony capitalism, which is run on greed, which is run on insane hyper-narcissistic inflation), because it’s a distortion … obviously you can’t hold Evolutionary Spirituality responsible for its own distortions. Each one needs to be wary of its own shadows. For more about the distinctions between Integral, Evolutionary, and World Spirituality see here. Marc Gafni met Andrew Cohen through a mutual friend and student of Andrew’s in 2005. Andrew Cohen invited Marc Gafni to visit and teach in Andrew’s community to his senior students in Lenox, Massachusetts. 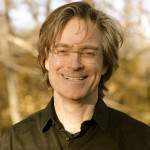 Marc Gafni visited and taught and dialogued with Andrew Cohen in Fox Hollow several times. As a result of their shared interest in evolutionary spirituality, Marc and Andrew planned a teaching week and retreat in Israel together, which was hosted by Marc Gafni. This teaching week and weekend took place in late December 2005. 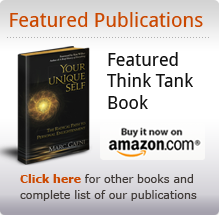 During this period of time, this article by Marc Gafni was published in What is Enlightenment. The world today is filled with suffering of the most infinite and painful kind. Anyone who has fought in or been exposed to war or who has witnessed a bus full of children explode—a tragically familiar scene in my part of the world—finds it difficult to embrace a theological perspective, whether it’s from the Eastern or Western traditions, Meister Eckhart or the Kabbalah or J. Krishnamurti. Because in the face of that kind of suffering, what do you do? How do you meditate and embrace a ground of being that is divine in a world of radical suffering? How do you live in a world where supposedly, God is king, and yet real kingship or stewardship seems to be lacking in the most profound way possible? 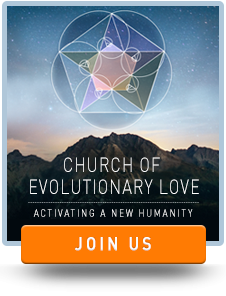 In a world of evil and suffering, how do you begin to talk about love and healing and transformation? That is the question. Classical theology arose in order to answer that question. And the core motivating force in the formation of the great religions was love for one’s neighbor—a love and magnanimity that were transmitted at the greatest possible depth to the largest number of people. This required the development of religious systems whereby the great revelations of spirit were translated into practice and conveyed to wider and wider audiences. These systems included law, ceremony, and ritual, and there were many versions of them. The development of spiritual practices also grew out of the desire to transmit these experiences and the religious values borne from them to future generations, to guarantee an ongoing religiosity in society at large. Second, amid the untold suffering experienced by those of medieval Europe, classical religion could no longer provide true meaning and succor to a plague-stricken population. And yet, in spite of that, religion continued to make claims of knowledge, authority, power, and dogma. It insisted on asserting its relatively arbitrary authority over what was good or evil, proper or improper in all fields of human endeavor, including government, science, the healing arts, economics, and moral thought, ultimately fettering each of these arenas and impeding human progress. For these reasons, a powerful and correct critique of the classical forms of religion appeared in Western civilization in modernity and then in postmodernity. As we can see, however, the results of that critique have been both positive and negative in their ramifications. One expression of that critique was the shift of authority to individual autonomy and to the democratic stage. These were classically understood as a move away from the authority structures of religion. Scientific rationalism replaced premodern dogma, freeing human inquiry, innovation, and agency. But I will focus here on what is, for many of us today, the most significant aspect of the move away from classical religion. The reaction against religious tradition that began with modernity has emerged as a contemporary preference for a loosely defined and more loosely practiced spirituality—one that is to a considerable extent defining the spiritual landscape of our time. Our postmodern culture is characterized by an unprecedented individualism, narcissism, and materialism—autonomy gone awry. In this cultural climate, spirituality of the “New Age” variety has emerged as being long on vision but short on commitment, depth, and rigor. This kind of spirituality is often primarily focused on spiritual experiences, few of which make demands on the very essence of the human soul or the way life is actually lived in the world. There is no sense of what Hebrew wisdom would call mitzvah. Mitzvah, which literally means commandment and is mistakenly translated as good deed, speaks to the sense that something must be done. But in much of contemporary spirituality, personal preference replaces obligation. Indeed, this preference is but a reflection of the underlying narcissism that lies at the heart of both the modern and postmodern quests for meaning. Instead of autonomy being an internal source of authority, freedom has come to mean free from the core obligation to grow; free to ignore the call of spirit to committed and consistent action. The essential imperative to clear and decisive action in this moment often goes unheard in the din of postmodernity. It is blocked by the deafening deadness of a society whose true God is comfort and not pleasure. In fact, the definition of modern spiritual decadence is the linguistic assumption that the opposite of pain is pleasure. But the opposite of pain is not pleasure, but comfort, which is to avoid pain at all costs. If my goal is truly pleasure—the pleasure of spirit, which is growth—then I will be willing to engage the pain of committed service. Hence modern spiritual seekers anesthetized by the comfort of their pallid “spiritual search” remain at their depths comfortably numb. And in a world gone awry and in desperate need of our help, postmodern spirituality has become a sophisticated form of leisure activity and escape, another variety of the many therapies we apply in the worship at the altar of ourselves. As we can see, neither New Age spirituality nor the old religious orthodoxies have within them the power to heal our souls and our planet. And presently, they can both function to keep us from experiencing ourselves as partners in the healing of the world—a globalized, superconnected world where we can no longer claim emotional ignorance. A world where evil and suffering demarcate our reality. So I want to put forth a different vision of how to manifest love and healing and transformation in this world—a new spiritual vision that emerges from the depths of Hebrew mysticism. One of the core revelations of the great empirical researchers of human development over the past hundred years has been the validation of perhaps the most important single teaching of classic Renaissance Kabbalah—the understanding that Spirit is not static but rather that it develops; it evolves stage by stage. And each stage adopts the great truths of the prior stage while discarding its dross, as it reaches for the next and higher level of Spirit’s unfolding. The Zohar* says that we are God’s name—we’re God’s verbs, we’re God’s adjectives, we’re even God’s dangling modifiers. We’re the language of the divine in the world, and in that way, we become the voice of the meshiach—the messiah. Anything less than the realization of that is called, in the inner mystical tradition, heresy. The core liberation teaching of Kabbalah is that to be a heretic is to believe that God does not need me, that I am not required to participate in the evolution of God. But enlightenment means we participate in divinity; we don’t just submit to it by responding to the evil and suffering in the world with a traditional theology or a theodicy. The ultimate response to the suffering of the world is, like that of the Hebrew mystic, to cry in protest and to let that protest translate into action. I call this nondual humanism, which means that I participate in God’s evolving self, now. As the great nineteenth-century Hasidic master Nachman of Bratzlav implied, the most important thing in the world is to be willing to give up who you are for who you might become. He calls this process the giving up of pnimi, which literally means “what is within.” For Nachman, that means the old, familiar thing that comforts even when it no longer serves—and that can include our spirituality and religion, and even the very core way we understand our relationship to the divine ground of being. 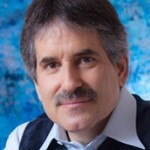 In fact, we are now consciously responsible for the very evolution of divinity so that it becomes relevant for our time. Thus we are called on to reach for makkif—that which is beyond us, that which we can only reach if we are willing to take a leap into the abyss. This is what Abraham was called to do—to give up all his yesterdays and todays for an unknown tomorrow. What we are talking about is much more than the evolution of man. The great privilege of being human is that we can participate in the evolution and healing of God. We participate in the yearning force of being, experiencing the interconnectivity of the all and the all—the fullness of presence and interiority. And that means to take up one’s role as an evolved agent co-creating with God in the transformation of the planet. The evolution of the human spirit is what catalyzes the evolution of God, of divine consciousness. We are God’s healers. In the words of Nikos Kazantzakis, We are the saviors of God. And when God and man meet in an evolutionary embrace, redemption is achieved. * Widely considered the most important work of Kabbalah, or Jewish Mysticism.